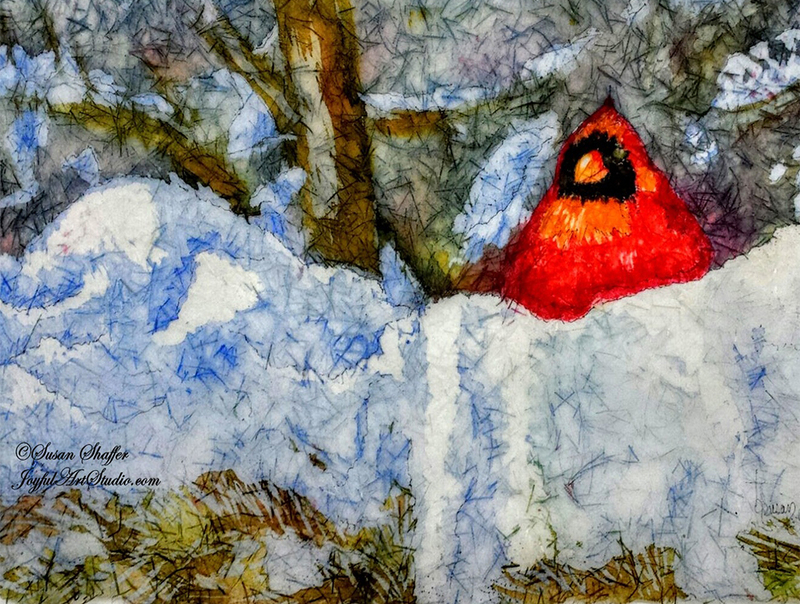 I photographed the cardinal in the juniper tree just outside my home studio window. He was absolutely breathtaking! This is painted on Ginwashi Rice paper with watercolors and layers of hot wax used to reserve values.